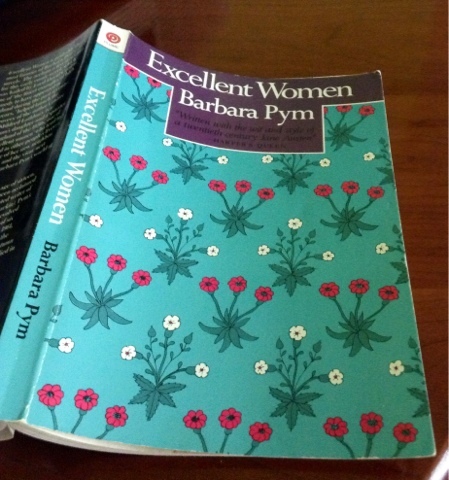 As pleased as I am to be joining those who are participating in Barbara Pym Reading Week, hosted by Thomas of My Porch, I must confess to a bit of…boredom? I know Barbara is supposed to be funny, and certainly, there are several situations which are just that. But humorous is not the word that I would use to describe her writing as much as bland. I abandoned A Glass Of Blessings halfway through after repeated attempts. I finally asked myself why I was persevering so diligently with such little pleasure. Excellent Women was easier to get going, but still I tired of reading about washing up, movers, bits of fish for luncheon, bossy old ladies, and the loneliness in Mildred’s life. She never made me feel sorry for her. In fact, I admired her fortitude and independence as she lived in her flat alone once her friend Dora had moved on. Mildred is single, plain, and considers herself uninspiring when she compares herself with the Napiers across the hall, or Allegra Gray, the widow who moved in with her friends Julian Malory and his sister, Winifred. She feels dreadful when she is caught unexpectedly by Everard Bone while she is wearing a housedress, without stockings, covered by a cardigan. One day after lunching with Mrs. Gray she decides that what she really needs is a lipstick. This is one of the few scenarios which utterly charmed me, perhaps because I have been as daunted in searching for the right shade as our plain Mildred seems to be. I was a little annoyed at being called ‘dear’, though it was perhaps more friendly than ‘madam’, suggesting as it did that I lacked the years and poise to merit the more dignified title. Fin other thoughts on this novel here, here, here, here, and at our excellent host’s here.